Discussion in 'General Discussion archive 2017 (read-only)' started by Lamplighter, Sep 29, 2017. I'm guessing Rhino/WB are a bit more involved with packaging than BMG appear to be. 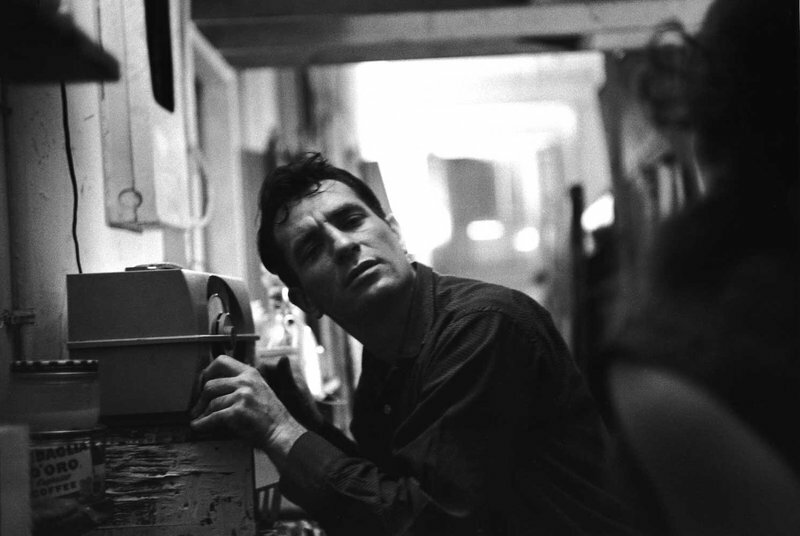 Kerouac was from Lowell but close enough, love the photo. 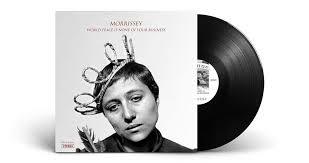 I don't think it has escaped Morrissey that his solo records have a markedly different design aesthetic than his Smiths covers. I'm sure this has been discussed around here ad numbingly over the years, but I have to assume that Morrissey decided from the first moments of his solo career to maintain a different and inconsistent approach to cover art. 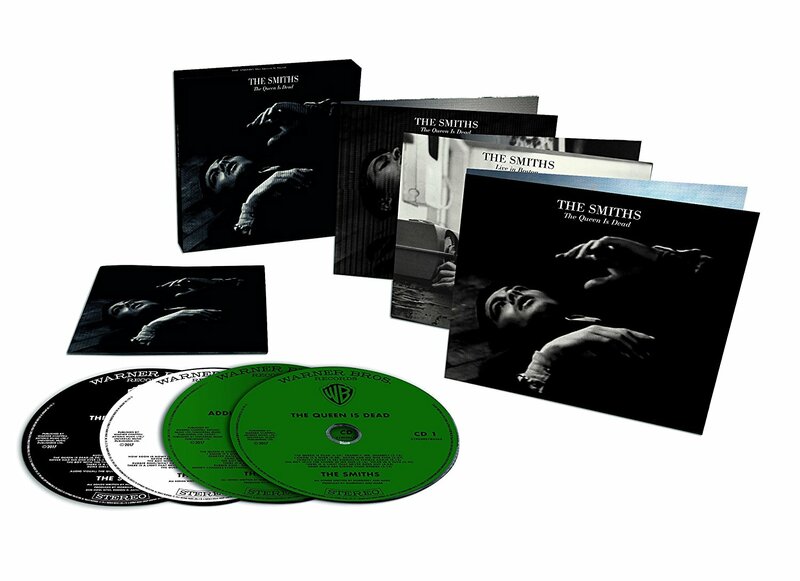 And whatever anyone says about his choices or the art quality, there's no question that this has allowed Smiths art (even art for new Smiths records and collections) to remain distinct and instantly recognizable. But Morrissey developed that design language in his 20s and as lead of a group; wanting to break from it, and allow himself room to change and grow, necessary to an individual's artistic output, must have been clear to him. But he never stopped to use these distinct images during his solo career. He just used them on stage. Nonsense. It's the difference between consensus-someone else calling the shots and having a veto, and one person doing their own thing. I wonder if it has to do with poor sales for Southpaw Grammar? The "Roy's Keen" single had a similar Smiths-esque sleeve. Yes, and Interlude too. Boxers and Dagenham Dave also had "cover stars" but a slightly different design aesthetic. I'm never been sure how many of the Smiths reissue covers Morrissey was involved with, but some were very good. This must be a transition between the Warners control verses Moz's freedom. It was presented exactly like the Low in High School record on Mporium and is clearly Moz channeling The Smiths stylings of this year's QID 7&12. So it is an interesting never released relic that seems midway between both viewpoints in this thread - if only we knew the whole of the story. So it is an interesting never released relic that seems midway between both viewpoints in this thread. What on Earth could he put in a second autobiography? That he swanned around, had a few tours, and ruffled feathers? The only chapter of note I could think of would be if he detailed his health scares, and besides, some things I would prefer to see kept private. Well, the writing and recording of his songs/albums for one thing. There's very little about it in Autobiography. It was a shame because his reissue liner notes were really interesting in that respect. I thought of a lot of the Moz solo covers as being similar to his aesthetic vision from earlier in his life, but more focused on him. Instead of using 50s and 60s icons for the covers, he was using his own face. I'm very fond of quite a few of the 80s and 90s solo album covers and singles. The change didn't come till around Maladjusted or Quarry, to me. I'm in the camp that wishes Moz would use his own wonderful aesthetic visions (that we know he still has as much as ever thanks to TQID reissue covers) to design his god-awful recent covers. Morrissey, I'm truly sorry, but you've an infinitely better eye for covers than your nephew! True, but if you think he's going to let you see how the (vegetarian soy based) sausages are made, then you're more optimistic than I. You must be aware he doesn't consume them. They look too much like real sausages made of meat. I think he could put a lot into a second autobiography. The swanned around, tours and ruffled feathers bit was captured in Autobiography part 1. Or call it a memoir. You don't think he's already writing? Actually, Morrissey could subsist exclusively on Cap'n Crunch for all I know. I don't keep track of his meals apart from knowing he doesn't eat meat. I hope he eats Cap'n Crunch actually. That would be refreshingly down to Earth.